LET'S be real: this list could just be the word "bacon" 20 times in a row. But the reality is, there are countless reasons you should come to Kingaroy's inaugural BaconFest, August 24-26. Here are just 15, to whet your appetite. OK, we had to start here, because everyone loves the stuff and the entire festival will be filled with it. Bacon-themed fun and games aside, we all want to eat the salty, meaty goodness and there will be plenty of opportunities to do so. Head to the BaconFest Food Markets on Glendon St, where every stall has to incorporate bacon in some way. 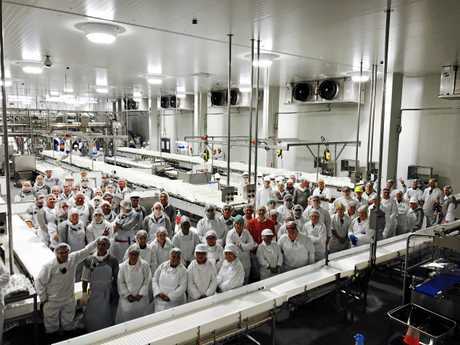 Did you know Kingaroy is home to the largest pork abattoir in the southern hemisphere? 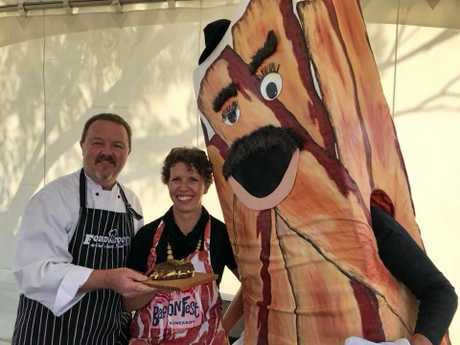 Swickers Bacon Factory, owned by Sunpork Fresh Foods, is a proud supporter of the festival, so that explains why we're having a bacon festival in the first place. Food festivals are notoriously boring for restless little ones, but not this one. BaconFest has set a whole event aside for the mini bacon lovers. Little Piggies in the Park at Memorial Park on Saturday, August 25, is the place to be. 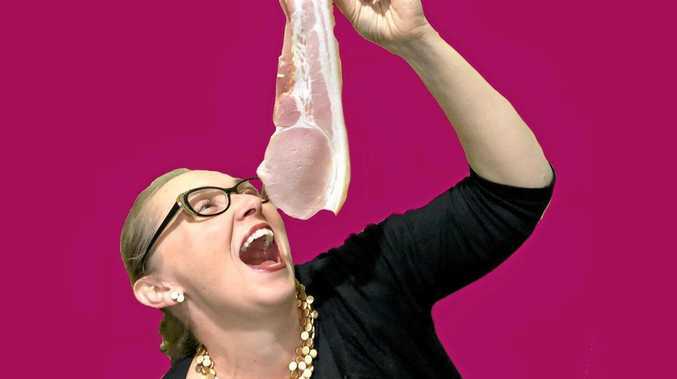 Bacon is a pun-tastic topic to sink your teeth into while you chew the fat with your mates. Just take a look at some of the bands playing at the festival - Murphy's Pigs, made up of former police officers, and The Porkers. The material basically writes itself! 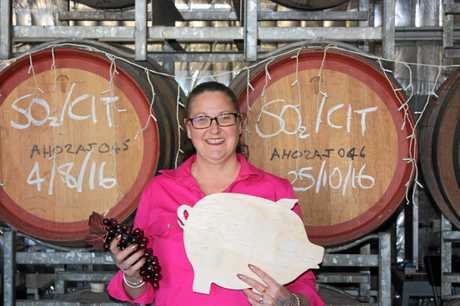 Apart from being a famous pork production region, the South Burnett is also renowned for its wine. Our wineries will set up at the festival, so make sure you sample some of the local drops while you're out and about. Who doesn't love a good Frankenstein-like food combination? Perhaps Kingaroy's most famous export, the humble peanut, will be on show throughout the festival. And the good folk at Kingaroy's iconic Peanut Van have created a special edition pork-flavoured peanut for the festival. There will also be bacon flavoured ice cream on offer. The patron saint of bacon, Kevin Bacon, will be right at the heart of the festival. Kingaroy Cinema will screen three of Bacon's most famous films; X-Men: First Class, Appollo 13 and Footloose throughout the festival, so get your tickets and take a seat. Even the most health-conscious among us love to indulge in a bacon-heavy breakfast. All the same, it's important to keep the heartrate up and burn it off afterwards. That's where the Rashers Rush Run and Ride comes in. 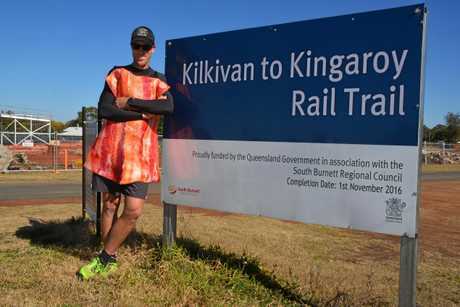 The event takes place on Kingaroy's rail trail, so it's a great way to see a bit of the region while you're at it. A pin-up girl names Bettie Butcher? She just had to be part of BaconFest. 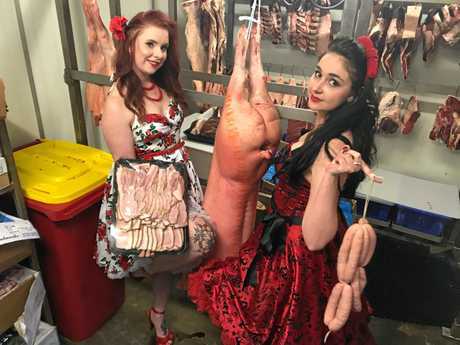 Ms Butcher will host Miss BaconFest 2018, a pin-up pageant especially created for the festival. Want to learn the secret to low and slow barbecued meats? You'll have the chance at the Australasian Barbecue Challenge, one of the main events of the festival. 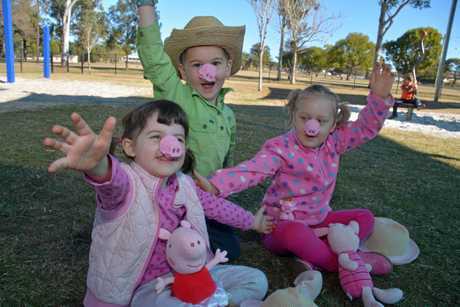 This is the first BaconFest for Kingaroy, but pig farming has a long and rich history in the region. Here's your chance to be part of it. Ever wanted to learn how to cook pork, and we mean really cook it? You'll have the chance, when South Burnett Food Ambassador Jason Ford puts on his cooking masterclass. No festival is complete without live entertainment, and BaconFest will have plenty. Murphy's Pigs and The Porkers will take to the stage, as will Amber Goldsmith, Cherry Divine, Whole Hearted and many others. 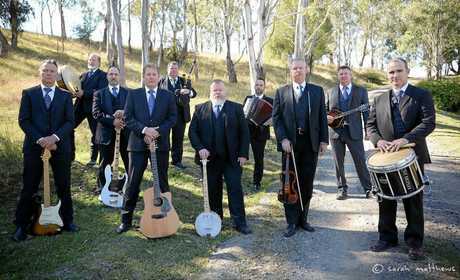 Ten-piece Irish band, Murphy's Pigs, will perform at Kingaroy Baconfest thanks to sponsorship from Sunpork. 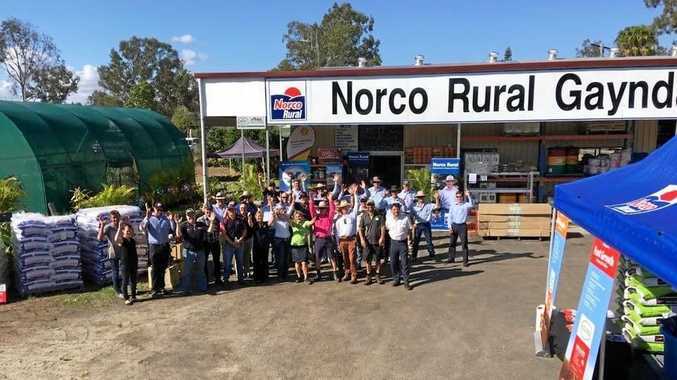 It's no secret many small towns, and their businesses are doing it tough, and Kingaroy is no different. BaconFest has involved almost every business in town in one way or another, and this is a chance to show them your support. BaconFest will be the star of the weekend, but the South Burnett is a beautiful place to visit at any time. Head to the Bunya Mountains, explore the surrounding towns or check out our stunning dams while you're around. So, what's stopping you from heading to Kingaroy for our inaugural BaconFest?